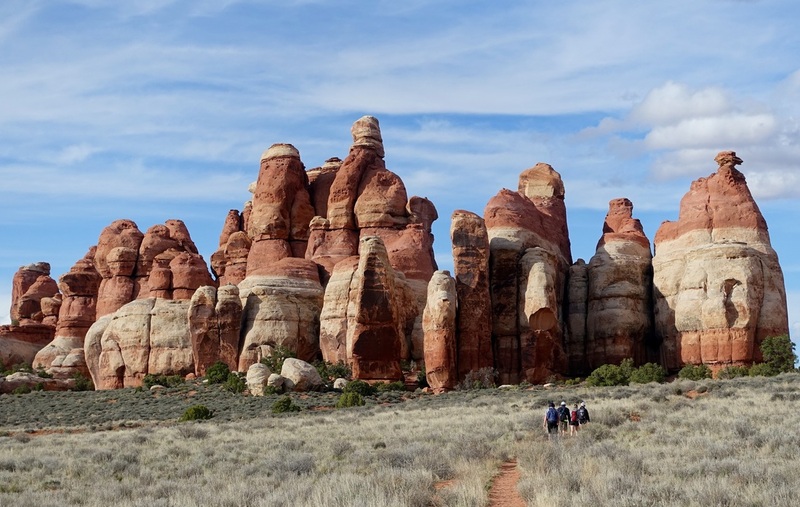 The longest hike in Arches NP is through Devil's Garden (8 miles). 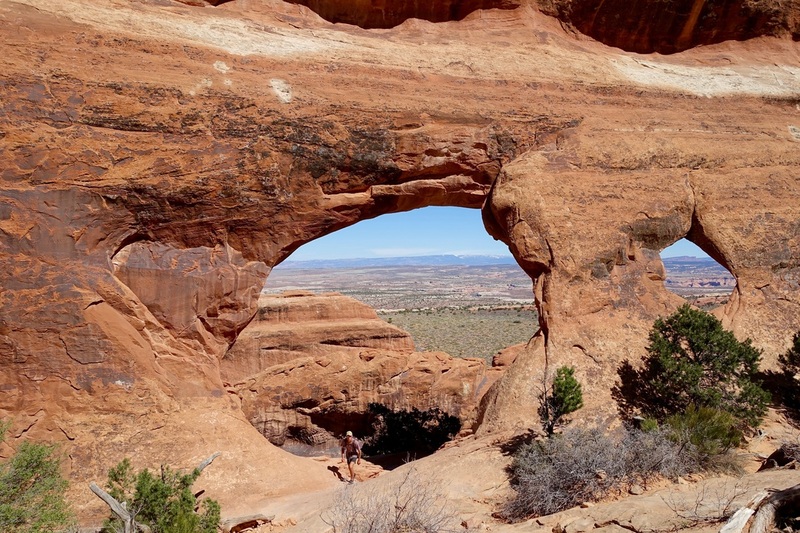 Not to be confused with Devil's Garden in Escalante or the nearby Devil's Kitchen. 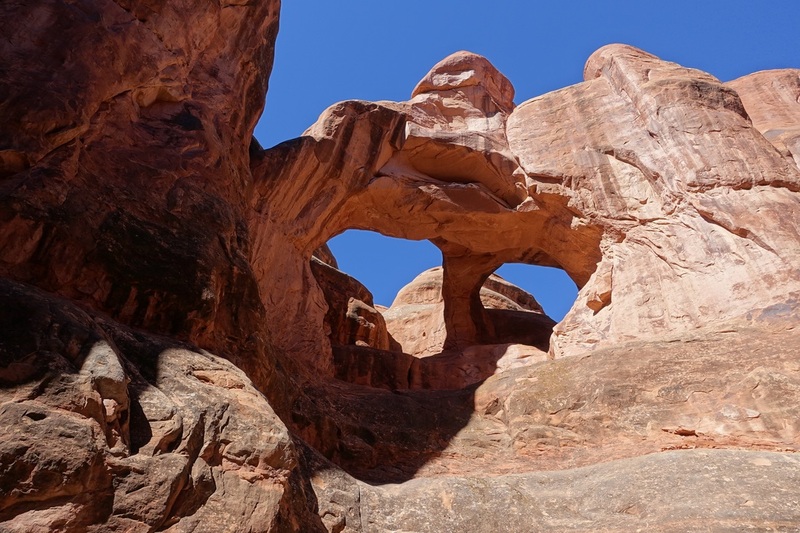 The other extended hike in Arches is through the Fiery Furnace, which is by permit or tour only. 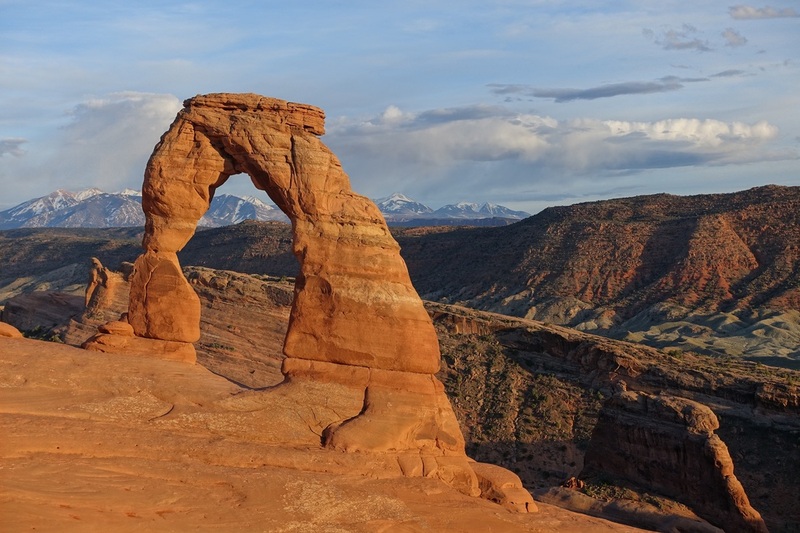 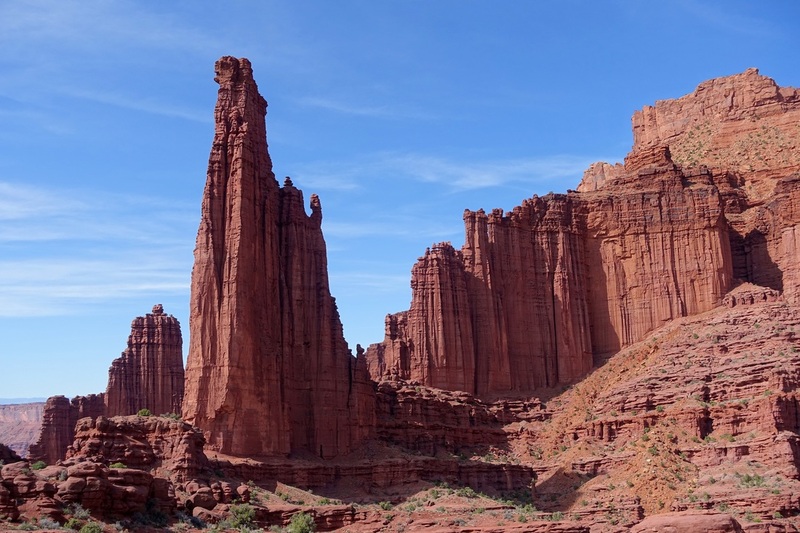 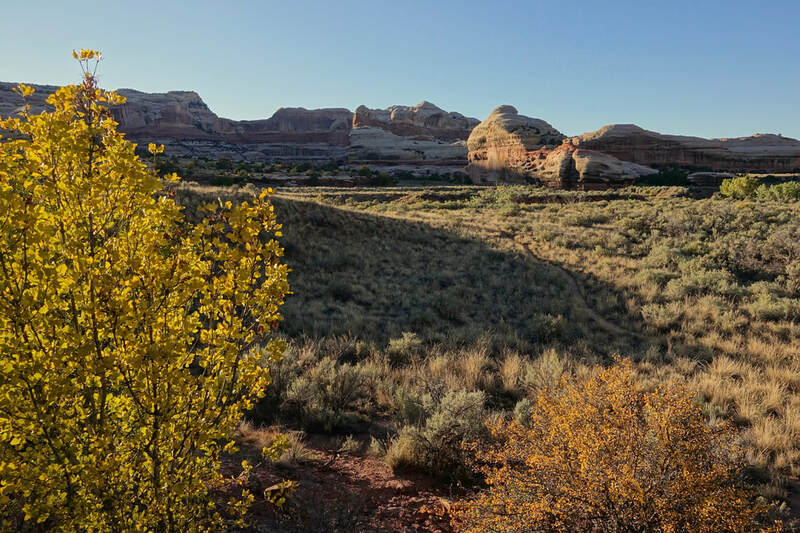 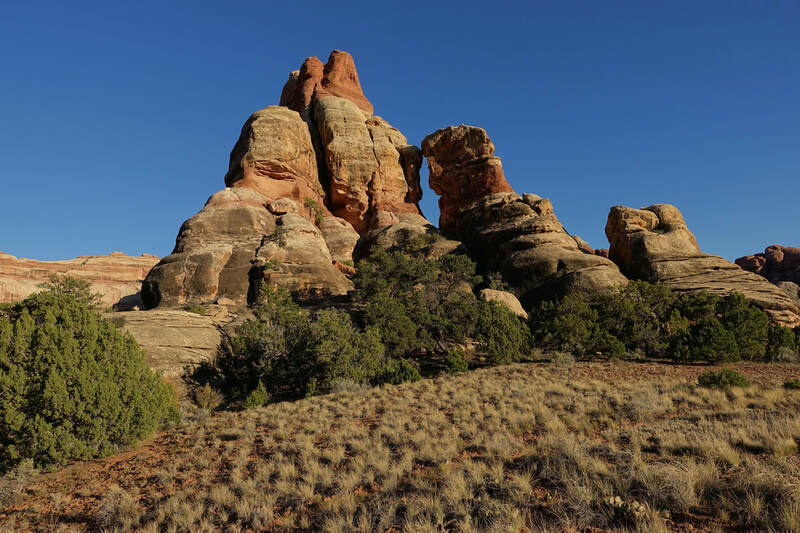 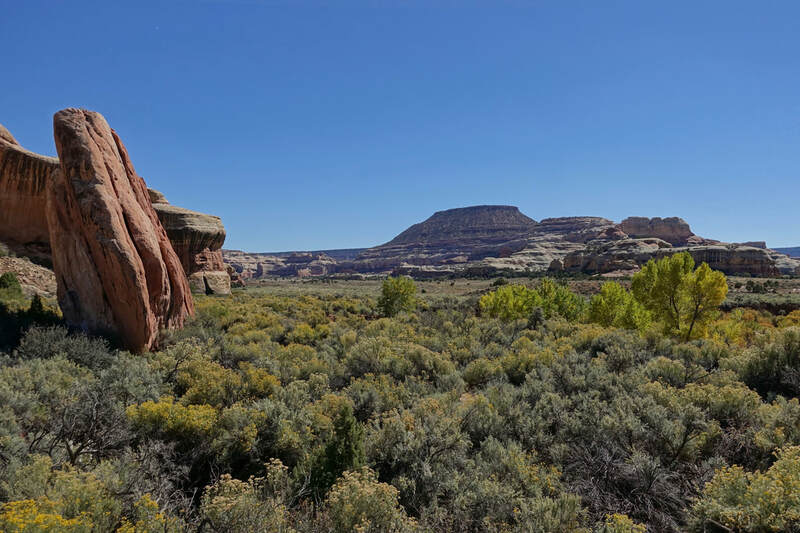 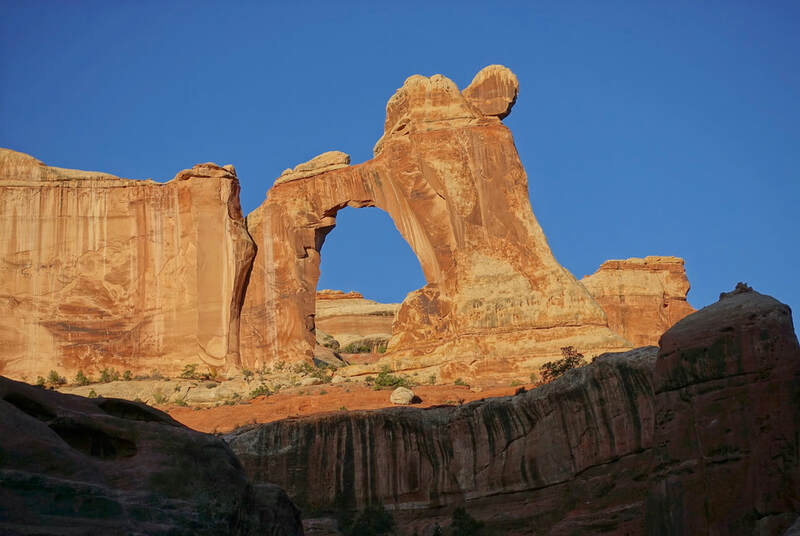 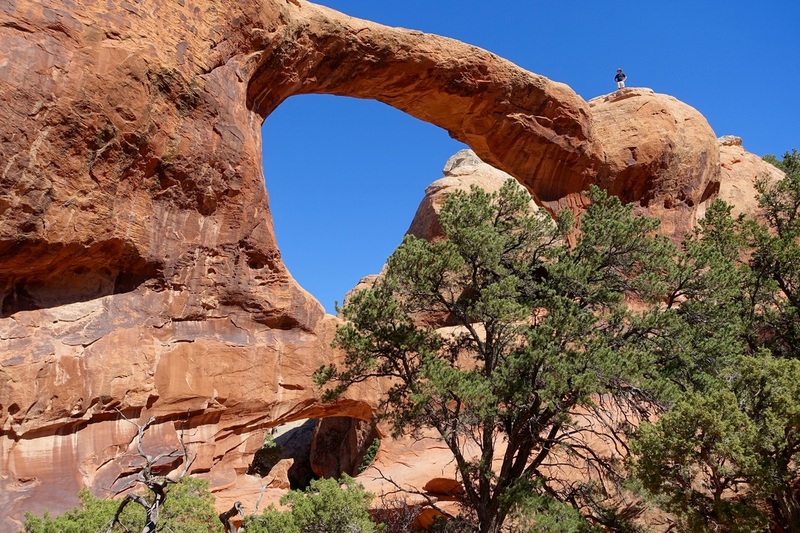 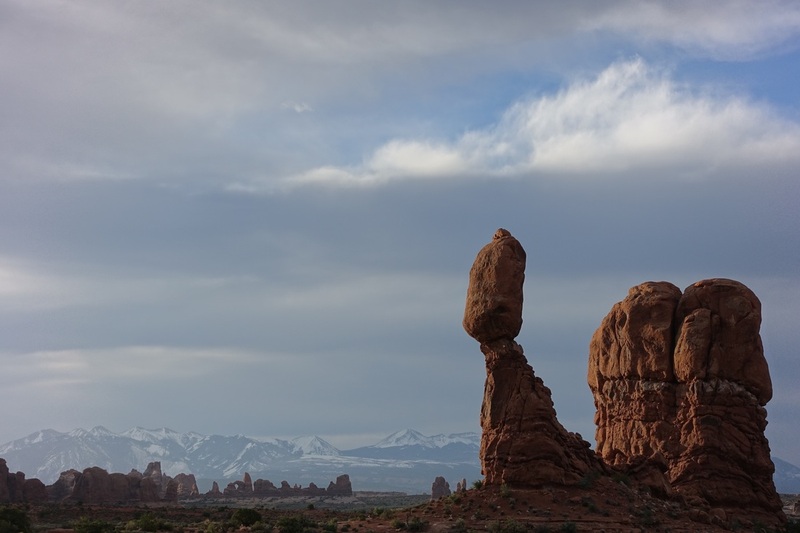 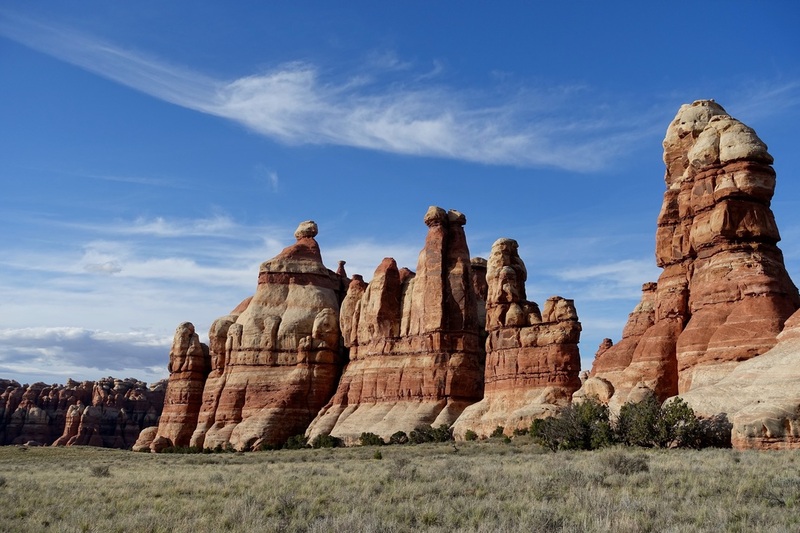 Utah Trails advice was spot on, "it would be a shame to visit without (1) spending a night in Chesler Park, (2) experiencing the Joint Trail, and (3) seeing Druid Arch." 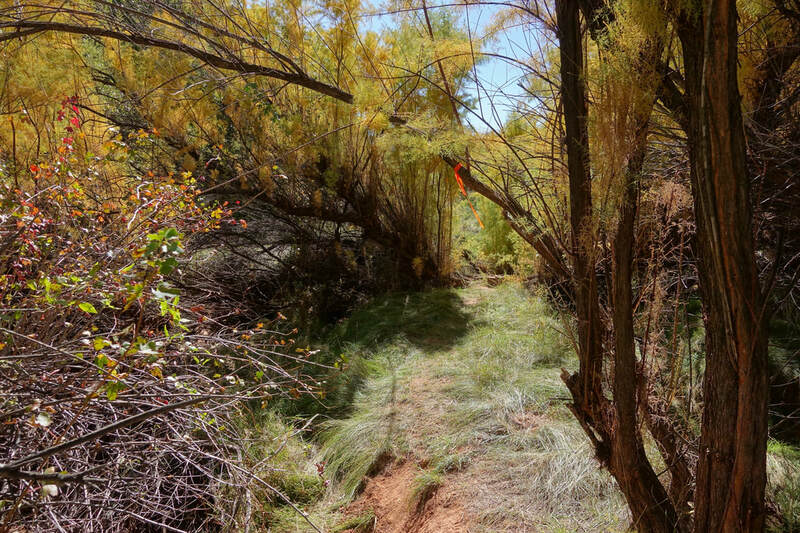 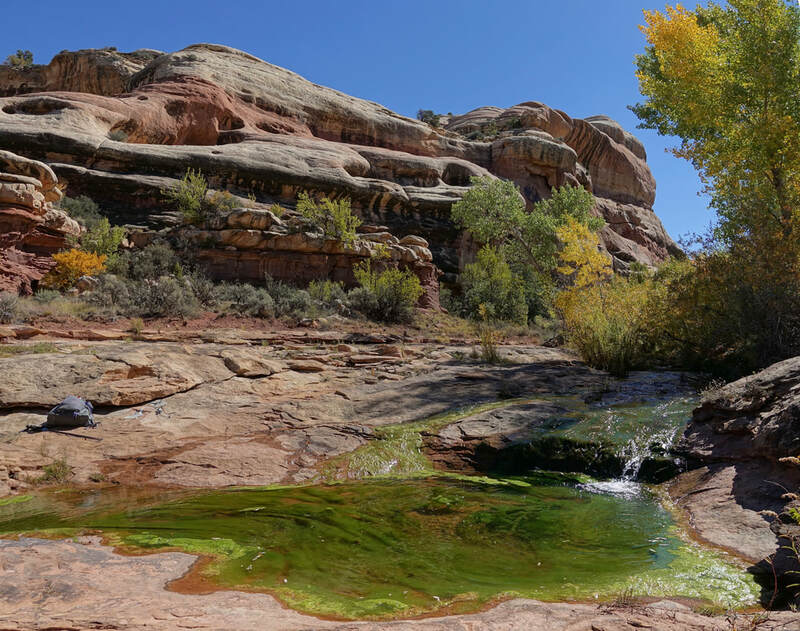 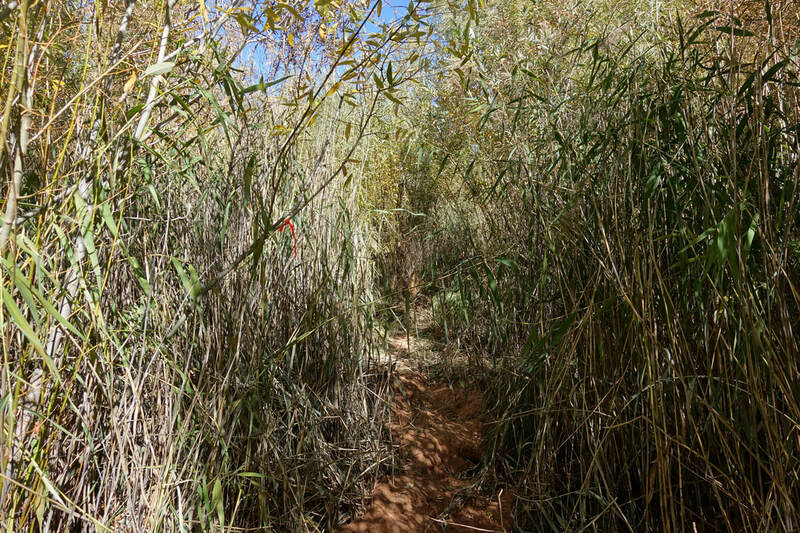 The flowing streams and lush vegetation make this canyon a unique home for wildlife in the desert. 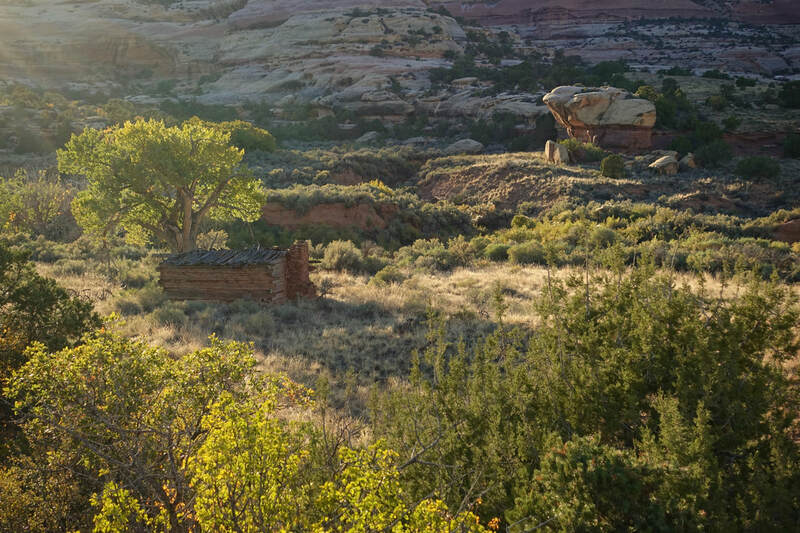 The howling coyotes at night and multiple bear encounters made for a memorable trip. 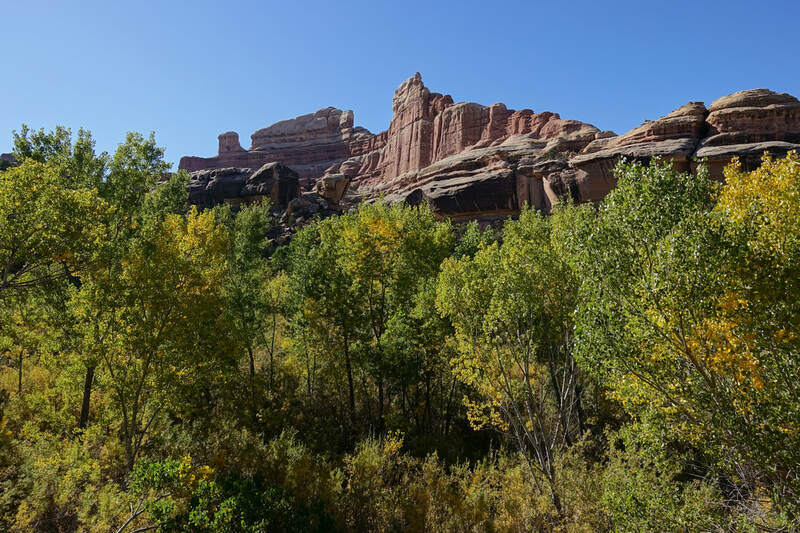 Hard sided bear canisters are required for this part of the park, although water is prevalent near each campsite so there is not too much weight to carry. 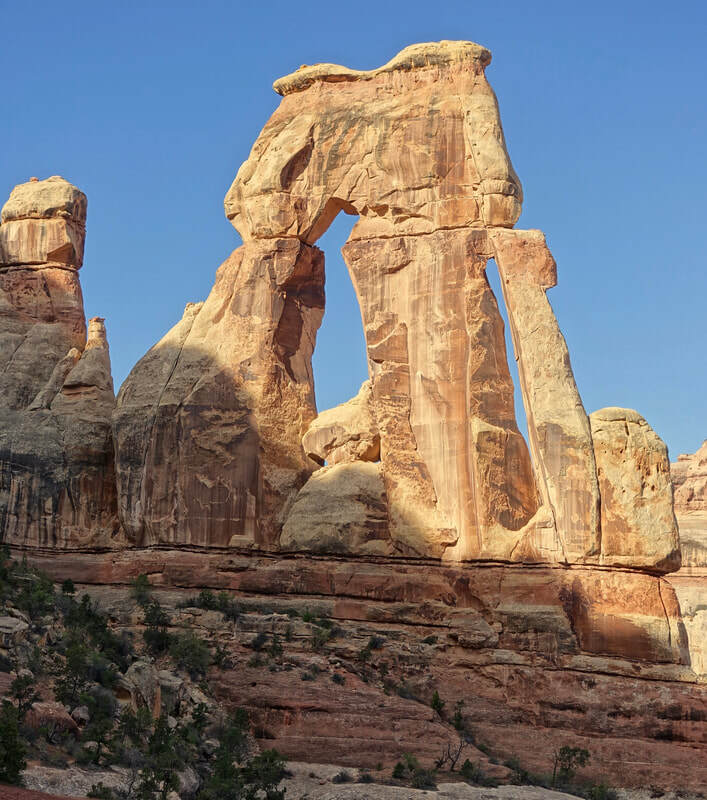 Photography group tours line Mesa Arch with tripods at 3AM. 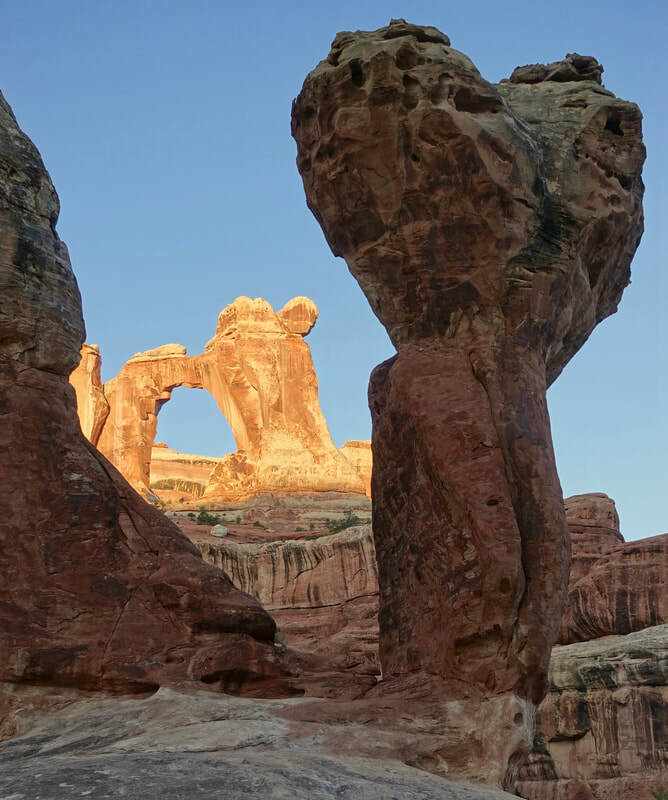 Make friends with them and they will let you squeeze in. 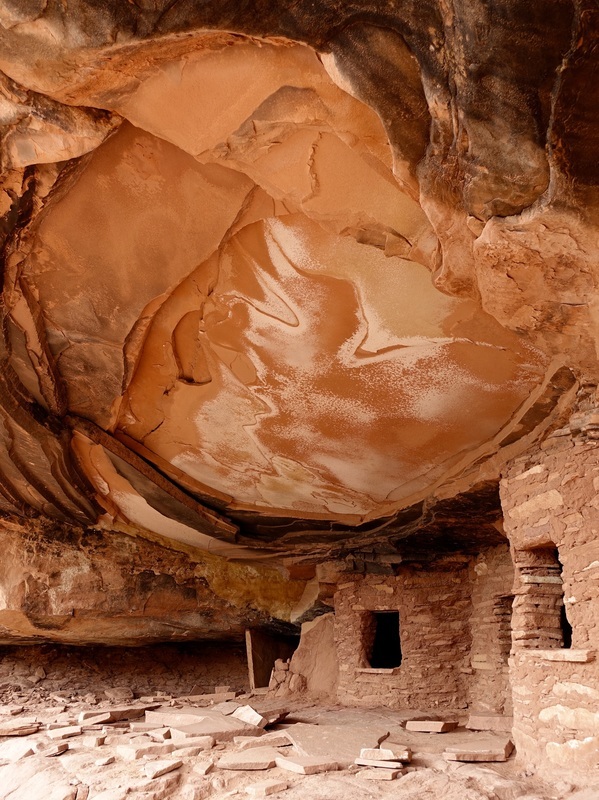 Road Canyon has several well preserved cliff dwellings, highlighted by Fallen Roof Ruin.